This morning MX Sports announced discounted tickets for the 2018 MX National series. With three rounds very close to New Jersey (Unadilla, Budd’s Creek and Southwick) and High Point not really that far away, the MX National Series is a great opportunity for local fans to see their motocross heroes in action. Check out the press release below to learn more about this opportunity. MORGANTOWN, W. Va. (December 11, 2017) – MX Sports Pro Racing has announced that tickets to the 2018 Lucas Oil Pro Motocross Championship, sanctioned by AMA Pro Racing, are now on sale. For a limited time, special pricing is available on early purchases to be a part of the action at the world’s most prestigious off-road motorcycle racing series. 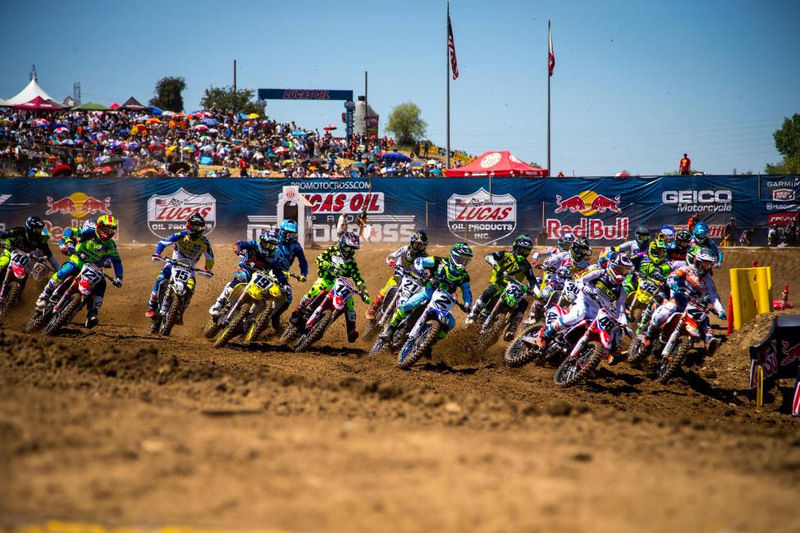 The 2018 season will once again consist of 12 rounds, beginning with the 50th Annual Hangtown Motocross Classic, the oldest race in American motocross, on May 19. Over the course of the summer, the championship will visit 11 different states and the most storied venues in the sport during its journey to crown a pair of champions, pitting the best racers on the planet against one another over the course of 24 motos in both the 450 Class and 250 Class. The Dirt Diggers North Motorcycle Club celebrate the 50th Annual Hangtown Motocross Classic on May 19th. The Lucas Oil Pro Motocross Championship has served as North America’s preeminent off-road racing series since 1972, and remains arguably the most mentally and physically demanding championship to win in all of motorsports. Monster Energy Kawasaki’s Eli Tomac (450 Class) will look to defend his title in 2018 as Rockstar Energy Husqvarna Factory Racing’s Zach Osborne (250 Class) moves up the premier class along with a star-studded international field of competitors. 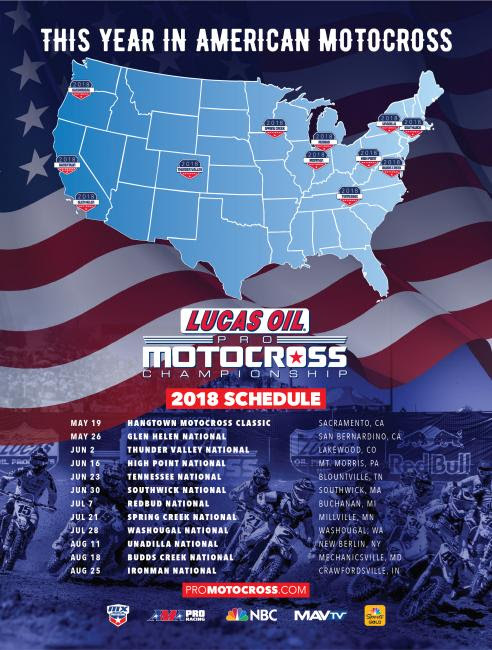 Tickets to all 12 Nationals can be purchased online by visiting ProMotocross.com, the official website of the Lucas Oil Pro Motocross Championship. Special pricing will be available until December 31. Visit promotocross.com to get holiday discounted tickets to all 12 Nationals before Dec. 31, 2017.